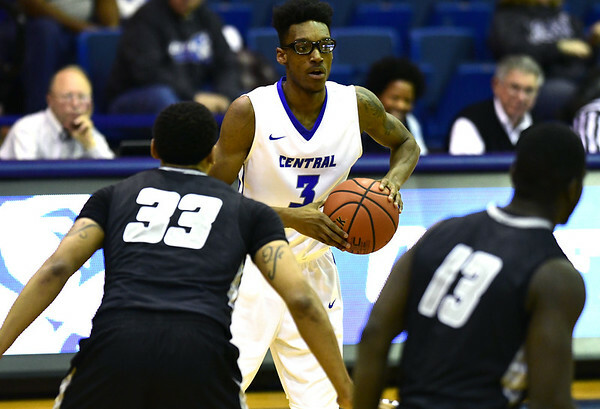 The Central Connecticut men's basketball team fell in overtime at LIU Brooklyn, 94-89, on Saturday afternoon. The Blue Devils erased an 18-point deficit in the second half sending the game to overtime on Deion Bute's putback at the horn. Junior Tyler Kohl led the Blue Devils with 23 points, 10 rebounds and nine assists. The loss ends Central's four-game win streak and puts it at 12-11 overall and 5-5 in the NEC. Freshman Kashaun Hicks scored a career-high 15 points off the bench, while Bute finished with 13 points and eight rebounds and senior Mustafa Jones had 12 points. Jones gave CCSU a 14-13 lead at the 12:57 mark of the opening half before LIU went on a 7-0 run to take the lead, a lead that would hold for most of the game. Back-to-back hoops from Jones and sophomore Joe Hugley got Central within one, 28-27, but the Blackbirds would had seven unanswered points to bring the score to 35-27, LIU. LIU built a double-digit lead right before a running layup by CCSU’s Tyson Batiste just before halftime to make it 48-39 at the sound of the buzzer. The Blackbirds scored 12 straight points early in the second half to extend their lead. Central cut the deficit to single-digits as Hugley hit a three-pointer with 9:32 remaining which started a 12-3 run. A layup by Kohl with 6:31 left would get CCSU within, 71-65. The Blackbirds widened the gap 78-70 with 3:57 to play before the Blue Devils ran off eight straight points. Batiste hit a foul shot to begin the spurt and his running layup with 1:27 left tied the game at 78-78. The teams traded pairs of foul shots on the next two possessions before Hernandez had a put back for LIU with 11 seconds left to make it 82-80. Freshman Kashaun Hicks was fouled on the ensuing CCSU possession, but after missing the first free throw with just over a second to play the Blue Devils still trailed by two. Hicks missed the second foul shot, but junior Deion Bute collected the rebound and his follow as time expired would send the game to overtime. Kohl scored all seven points in overtime for Central and his foul shot with 1:45 to go put CCSU ahead 87-83. The Blackbirds got four points from Raiquan Clark to tie the game and following a Kohl jumper, Hernandez hit a three-pointer to give LIU a 90-89 lead. Posted in New Britain Herald, CCSU on Saturday, 27 January 2018 22:07. Updated: Saturday, 27 January 2018 22:10.